Will Brazil land a Lebanese president before Lebanon does? Lebanon is entering its 24th month without a president in May, which marks one of the longest times a country has been without a head of state ever. On the other side of the globe, if dramatic events of recent days are anything to go by, Lebanese-Brazilian Michel Temer may end up becoming Brazil’s next president. Temer is serving as Vice President until President Dilma Rousseff’s impeachment process is completed. If this happens, another country would have managed to land a Lebanese president before Lebanon did. 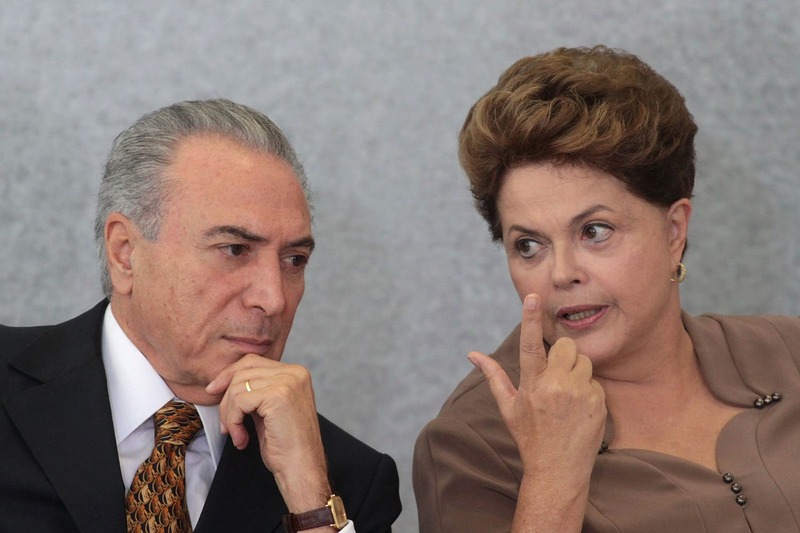 So, who is Temer? Tucked away 10 kilometers into the heart of northern Lebanon, among the ravenous mountains and tall trees, lies the Brazilian Vice President’s village of Btaaboura. His parents raised his siblings in an almost 200-year-old home, while he was born and raised in Sao Paolo after his parents immigrated in the early 20th century. 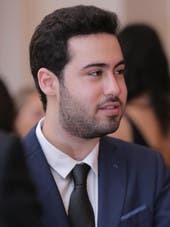 “Since he was young he would hear a lot about Lebanon, he has three siblings who were raised in Lebanon before his family left to Brazil,” his paternal cousin, Youmna Barbar, told Al Arabiya English this week. From Btaaboura to Brazil, the Lebanese-Brazilian is one of millions of Lebanese who had fled the war in search for peace and opportunity for their families. “Around 7 to 10 million Brazilians” have Lebanese ancestry, according to the Brazilian foreign affairs ministry. Throughout his whole stay in the South American country, he had only visited his country of origin twice, once in 1997 after Lebanese parliament speaker Nabih Berri invited him, and the other in 2011 when he was invited by then-President Michel Sleiman. During his first trip to Lebanon, Temer was “very emotional” according to Barbar. “He told me ‘my heart is going to stop’ because of how emotional it was to be in the village where his parents lived,” she said. His second visit established solid ties between the two republics, as “it was the largest official mission to take place from a Brazilian delegation to Lebanon,” according to First Secretary to the Brazilian Embassy in Beirut, Adam Muniz. “He came with the military, with many businessmen. It was a big delegation, this was when he delivered the Brazilian flagship to UNIFIL, when he inaugurated the Brazil-Lebanon cultural center,” he said. Due to the large number of citizens of Lebanese origin – roughly 6% of the total population – the ties between the two countries are strong, as is the cultural impact the small, Middle Eastern country has had on South America’s largest nation. “He loves moujadara and kibbeh, his mother used to make them for him all the time,” Barbar said, in reference to traditional Lebanese foods. Much of Lebanon’s food and culture can be found in Brazil, especially in Sao Paolo home to one of the most popular fast food chains called “Habib’s” – where most Brazilians get their ‘sfiha’ (meat pie) and kibbeh (a dish made of bulgur, minced onions, and finely ground meat), and even a sandwich named ‘Beirute’ (From Beirut). Temer isn’t the only person with Lebanese roots who made a name for himself in South America. The likes of Renault and Nissan CEO Carlos Ghosn, famous popstar Shakira, telecom tycoon and former world’s richest man, Carlos Slim Helu, and actress Salma Hayek, have all broken onto the international scene. Following Brazil’s parliamentary decision to impeach Dilma Rousseff on Monday over corruption charges, Temer seems pitted to take the helm of the country home to over 209 million people. “I’m sure there are a lot of expectations coming from people in Lebanon and also from the Brazilian-Lebanese community in Brazil,” Muniz told Al Arabiya English. “He’s very influential in the Brazilian Lebanese community, especially Sao Paolo where you find the biggest Lebanese community,” he added. 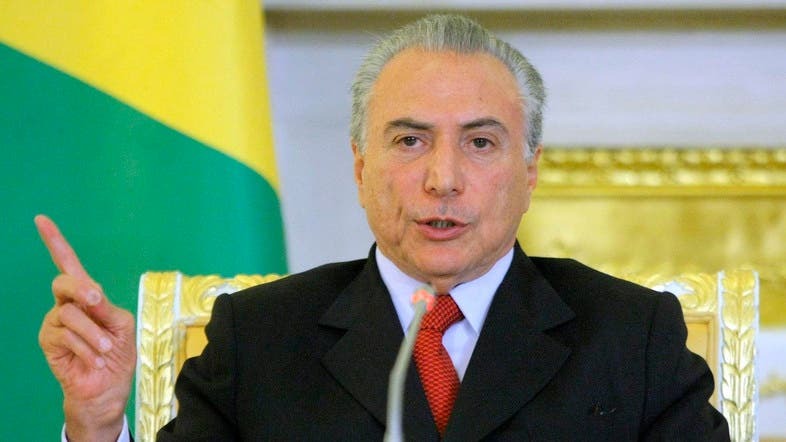 Temer began his political career in Brazil as President of the Chamber of Deputies in 1997, where he served for three two-year terms. “He’s a very respected constitutionalist,” said Muniz. He was later made the President of the Brazilian Democratic Movement Party in 2001. In 2011, he became President Rousseff’s Vice President.